The Temptations leader Otis Williams said in a statement, “The Temptations lost a dear member of our family, as bass player Kerry Turman has passed away. Rest In Peace, much love, much respect”. A cause of death has not yet been revealed. Kerry Turman was a member of Roy Ayers band in the 70s before moving on to Gene Dunlap’s band in the 80s. He first appeared with The Temptations on the 1997 (and most recent) album Phoenix Rising. The Temptations are currently on tour in the USA with The beach Boys. Mike Love of The Beach Boys posted the following statement on Facebook. This Sunday morning was a very sad day for the “Surf & Soul” tour. Sometime around 7am, Kerry Turman, the bass player for the Temptations, was found in his hotel room unresponsive. It’s incredibly shocking as we were just chatting and hanging around backstage Saturday night in Cape Girardeau. KT was a gentle giant with incredible talent. 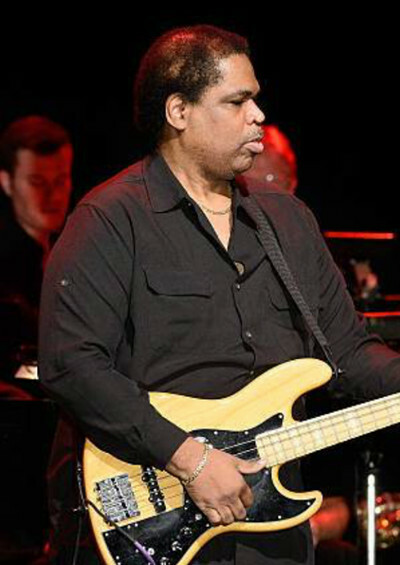 He played bass on songs that will forever be part of our American songbook for the last 33 years. He was always so kind and jovial. KT was known to be a devoted father and family man. We certainly would’ve understood if the Temps canceled their performance in St Charles, MO, but they soldiered on in KT’s memory and honor. KT’s bass stood in his place tonight. We performed In support of our touring family, The Temptations honoring the memory and talent of our family member, KT. His smile and spirit will be missed.